Brett Mitchell will return to the San Antonio Symphony in March 2020 to lead a program of works by Missy Mazzoli, Mozart, Prokofiev, and Ravel at the Tobin Center for the Performing Arts. To read more about this season announcement in the Rivard Report, please click here. Brett Mitchell will lead the Colorado Symphony in John Williams’s score for The Empire Strikes Back on March 23 and 24. The Colorado Symphony is headed to Broomfield this weekend for an epic presentation of Star Wars: The Empire Strikes Back in Concert. Colorado Symphony's Music Director Brett Mitchell will lead the two performances which include a screening of the complete film with Oscar-winning composer's John Williams' score performed live. Star Wars in Concert takes place Saturday and Sunday at 2 p.m. at the 1stBank Center. Tickets are sold at AltitudeTickets.com. DENVER — Before leading the Colorado Symphony in Star Wars: The Empire Strikes Back next weekend (more info here), Brett Mitchell sat down with host David Rutherford in the Colorado Public Radio Performance Studio to explore some of the highlights of John Williams's iconic soundtrack. After reviewing themes from Star Wars: A New Hope (watch the breakdown here), Mr. Mitchell explores the new themes Mr. Williams created for characters in The Empire Strikes Back, including Darth Vader, Yoda, and Han and Leia. Watch the full video in the video below. This special was also featured on the most recent episode of Star Wars podcast Rebel Force Radio. To hear this segment, please begin at 1:57:07 in the video below. DENVER — The Colorado Symphony has announced its 2019-20 season, which marks Brett Mitchell's third as Music Director. Over the course of the season, Mr. Mitchell will lead the orchestra in nine subscription weeks and half a dozen other special projects. Demonstrating his deep commitment to contemporary music, Mr. Mitchell will conduct works by eleven living composers over the course of the Colorado Symphony's 2019-20 season, including Jennifer Higdon’s Concerto for Orchestra, Missy Mazzoli’s Holy Roller, Anna Clyne’s Masquerade, and Libby Larsen’s Deep Summer Music. Mr. Mitchell will also lead contemporary works by Kevin Puts, Mason Bates, Christopher Theofanidis, Adam Schoenberg, James Clarke, John Williams, and James Beckel, as well as a number of works by previous generations of American composers, including Aaron Copland, Samuel Barber, and Leonard Bernstein. Highlights of Mr. Mitchell's third season as Music Director of the Colorado Symphony include Mahler’s Symphony No. 9, Strauss’s Ein Heldenleben, Verdi’s Requiem, Beethoven’s Missa Solemnis and Symphony No. 3 (“Eroica”), Rachmaninoff’s Symphonic Dances, Tchaikovsky’s Symphony No. 4, and Saint-Saëns’s Symphony No. 3 (“Organ”). Renée Fleming and Rod Gilfry sing Kevin Puts’s The Brightness of Light. Olga Kern plays Barber’s Piano Concerto. Lukáš Vondráček plays Rachmaninoff’s Piano Concerto No. 3. Angelo Xiang Yu plays Tchaikovsky’s Violin Concerto. Colorado Symphony concertmaster Yumi Hwang-Williams plays Mendelssohn’s Violin Concerto. Colorado Symphony principal clarinetist Jason Shafer plays Copland’s Clarinet Concerto. The Percussion Collective plays Christopher Theofanidis’s Drum Circles: Concerto for 7 Percussionists and Orchestra. Brett Mitchell leads the River Oaks Chamber Orchestra in Houston at St. John the Divine on Saturday, February 23. The program ranged from Wojciech Kilar’s Orawa, a string-ensemble piece, to Ethel Smyth’s Overture to The Wreckers, which is typically full-orchestra fare. Mozart’s Symphony No. 35 and others works came in between. Led by conductor Brett Mitchell, music director of the Colorado Symphony, the orchestra moved adroitly among styles and sounds, capturing The Wreckers’ heft as readily as the Haffner’s airiness and zip. The orchestra played [Orawa] with incisiveness and momentum as Mitchell steered it through Kilar’s meter changes and sudden changes of tone, including a pounding theme that breaks out at one point. The players unleashed bursts of virtuosity in the whirlwind filigree that propelled the music to its climax. Mitchell also directed the orchestra to relish Mozart’s energy and exuberance in the Haffner without allowing the church’s reverberation to muddy the textures. The strings’ nimbleness and precision played a key role, and Mitchell had the winds ringing out brightly without overdoing it. Brett Mitchell will lead the River Oaks Chamber Orchestra at St. John the Divine in Houston on Saturday, February 23. HOUSTON — The Houston Chronicle has published an extensive preview of Brett Mitchell’s upcoming debut with the River Oaks Chamber Orchestra. Originally from Seattle, the music director of the Colorado Symphony received his master’s and doctoral degrees at the University of Texas at Austin and later worked as the assistant conductor of the Houston Symphony from 2007 to 2011. On Saturday, Mitchell will return to Houston to make his debut with another local ensemble, leading the River Oaks Chamber Orchestra in “Ticket to Ride” at the Church of St. John the Divine. Although Smyth’s opera debuted over a century ago, it presents a challenge for Mitchell, much like Stephenson’s new commission. Fortunately, he enjoys the challenge and finds inspiration in working on world premieres. In fact, it’s why he became a conductor in the first place, he says, rather than following the paths of a pianist or a composer. Brett Mitchell will make his debut with the Los Angeles Philharmonic at the Hollywood Bowl on September 12, 2019. 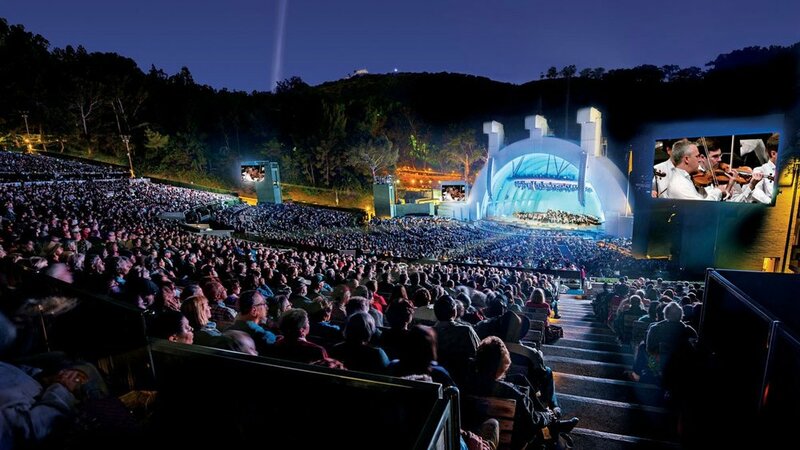 LOS ANGELES — The Los Angeles Philharmonic has announced that Brett Mitchell will make his debut with the orchestra by leading their 2019 Hollywood Bowl season finale. On Thursday, September 12, Mr. Mitchell and the orchestra will perform the iconic music of George Gershwin to accompany a screening of the 1951 classic film An American in Paris. Single tickets go on sale on Sunday, May 5. For more information, please click here. Brett Mitchell will lead the Vancouver Symphony Orchestra in a program of Dvořák and Smetana on Friday, February 8 at the Orpheum in downtown Vancouver. The evening begins with Happy Hour at the Orpheum at 5:30 pm… The concert then begins at 6:30 and lasts for an hour, with the conductor taking listeners inside the music with a casual analysis before the piece is played. DENVER — Violinist Itzhak Perlman will join the Colorado Symphony and Music Director Brett Mitchell for a performance of Beethoven’s Violin Concerto on Thursday, January 10 in Boettcher Concert Hall, marking the violinist’s first appearance in Denver since 2014. Mr. Mitchell and the orchestra will open the program with Jennifer Higdon’s Fanfare Ritmico and Alberto Ginastera’s Variaciones concertantates. For more information, please click here. Brett Mitchell is featured in the latest issue of Notes from the Podium, a quarterly online periodical that publishes in-depth interviews with conductors from all over the world and all areas of the profession. Following [Leonard Slatkin] is a conductor he mentored: the brilliant Brett Mitchell, Music Director of the Colorado Symphony. Mitchell suggested discussing Gershwin’s Concerto in F - a piece he knows very well and recently conducted with the soloist Joyce Yang. This is the first concerto that Notes from the Podium has covered, and Mitchell’s vast knowledge and infectious enthusiasm will whet your appetite for this work, one that is certainly underperformed over here in Europe. To read the complete interview, please click here (subscription required). Brett Mitchell will lead the Colorado Symphony in the score of Milos Forman's classic film Amadeus. Few movies capture the myth of the mad genius better than Amadeus, Milos Forman's Academy Award-scooping epic. Next month, the Colorado Symphony, conducted by Brett Mitchell, will live-score the film. This is the perfect mashup of the orchestra's embrace of pop culture through the Movie at the Symphony series and its obligation to perform canonical music for longtime subscribers. The orchestra will bring out the Colorado Symphony Chorus, under the direction of Duain Wolfe, to fill out the sound on the operatic parts of the score (not to mention that sweeping meditation on mortality, Mozart's final requiem). 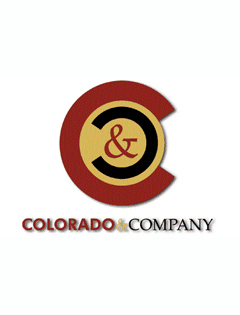 A Night In Vienna by Colorado Symphony, conducted by Brett Mitchell, Boettcher Concert Hall… Program includes polkas, waltzes and marches from Nicolai, Strauss, Verdi, Waldteufel and Bernstein. Brett Mitchell leads The Cleveland Orchestra and Chorus in eight selections on their newest holiday album, On Christmas Night. On Christmas Night is available to donors contributing a new gift of $25 or more to The Cleveland Orchestra Chorus Fund. To order, please call 216-231-7372. Music Director Brett Mitchell will lead the Colorado Symphony in John Williams’s score for Star Wars: The Empire Strikes Back in March 2019. DENVER — Westword has published a preview of Brett Mitchell’s upcoming performances with the Colorado Symphony of John Williams’s iconic 1980 score for Star Wars: The Empire Strikes Back. Star Wars fans, take note! The Colorado Symphony is teaming up with Disney to bring Star Wars: The Empire Strikes Back to Denver. Conducted by Brett Mitchell, the event will include a screening of the film and a live performance of John Williams's iconic score. The performance is scheduled for 2 p.m. March 23 and 24 at the 1STBANK Center in Broomfield. To read the Colorado Symphony’s press release, please click here. On December 9, 2018, members of the Brett Mitchell Society gathered at Denver’s historic Dazzle Jazz Club for an intimate discussion with Associate Conductor Christopher Dragon, Assistant Conductor Bertie Baigent, and of course, Music Director Brett Mitchell himself. A wide-ranging conversation ensued covering topics from favorite books to musical idols, what pieces they would most like to conduct, what drew them to conducting, impactful advice they’ve received, and what separates the Colorado Symphony from other orchestras around the world. “I noticed immediately during my audition that it felt very welcoming and I felt very much at home, there was a real sense of generosity and warmth from this orchestra,” said Baigent. “This is my fourth season with the Colorado Symphony and leaving family and friends from Australia was difficult, so coming to an orchestra that is so accepting and supportive was incredible. It truly feels like a family here with the Colorado Symphony,” said Dragon. That culture is fostered by Mitchell, who shared his favorite piece of advice with the assembled crowd. "No whining, No complaining, No excuses." When asked where that particular piece of advice came from, the Seattle native quipped, "Seattle Seahawks Head Coach Pete Carroll," providing some good-natured ribbing and one of many lighthearted moments to the proceedings. DENVER — Soprano Renée Fleming will return to the Colorado Symphony in November 2019 for two performances led by Music Director Brett Mitchell. Ms. Fleming last performed with the orchestra on Mr. Mitchell’s inaugural concert as music director in September 2017. Today the Colorado Symphony announces the Colorado premiere of The Brightness of Light by Pulitzer Prize-winning composer Kevin Puts, featuring internationally renowned soprano Renée Fleming in a special two-night performance conducted by Music Director Brett Mitchell at Boettcher Concert Hall on Friday, November 15, 2019 at 7:30 p.m. and Sunday, November 17, 2019 at 1:00 p.m.
DENVER — Brett Mitchell appeared on this morning's Colorado & Company — a daily magazine on NBC's Denver affiliate, 9NEWS — to discuss the wide variety of programs the Colorado Symphony will present during the upcoming holiday season. Watch the video above. DENVER — The Denver Post has published an article about the Colorado Symphony’s partnership with Bringing Music to Life to benefit underfunded school music programs across Colorado. Colorado Symphony musicians won’t be the only ones carrying their instruments into Boettcher Concert Hall. The orchestra is asking audience members to donate used instruments they no longer play to the nonprofit Bringing Music to Life 2019 Instrument Drive. Bringing Music to Life will be in the lobby at 10 concert dates in November, December and January to receive donated instruments… Donated instruments will be repaired and awarded to deserving music programs throughout Colorado before the start of the next school year. The Symphony’s collaboration with Bringing Music to Life began early in the year when music director Brett Mitchell appeared in the organization’s promotional video. Then in August, Mitchell took part in Bringing Music to Life’s instrument presentation event, where teachers from more than 30 schools came to Denver to pick up 450 instruments that had been awarded to their schools. At that presentation, Mitchell discussed the importance of music to students and saluted the Colorado’s music teachers. ”All of us at the Colorado Symphony are so thrilled to partner with Bringing Music to Life to help you do this incredibly important work,” he told the teachers. The Minnesota Orchestra will celebrate cellist Anthony Ross’s 30-year anniversary. 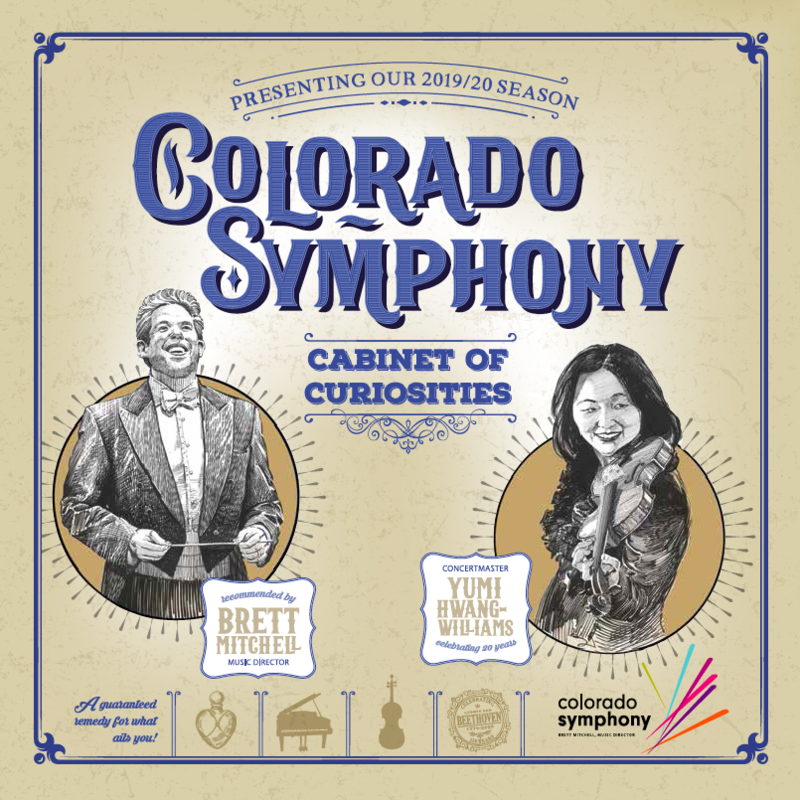 DENVER — At the outset of his second season as Music Director of the Colorado Symphony, Brett Mitchell sits down to reflect on his first season, and to explore the exciting projects he and the orchestra have planned during their 2018-19 season. Watch the complete video above, or click here to view it on YouTube.